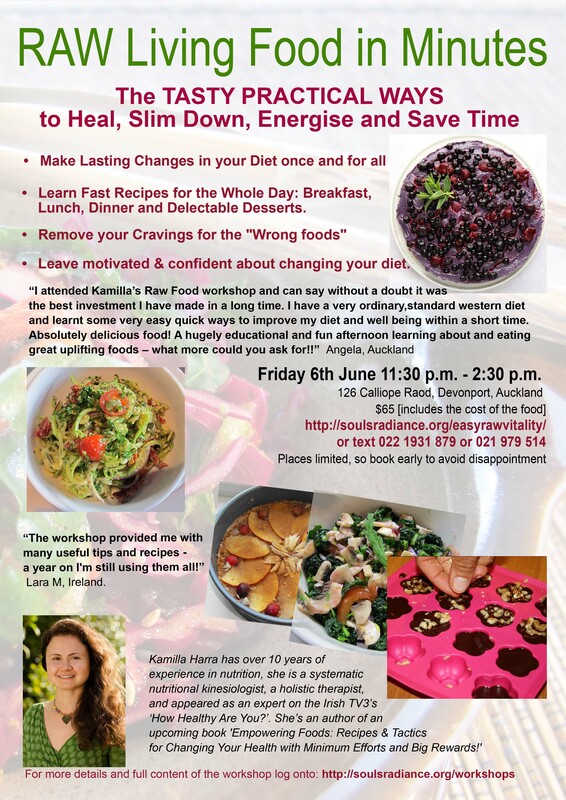 Raw Living Foods Workshop: True Vibrancy, Energy, Health and Youth through Food! Gluten-Free, Sugar-Free & Dairy-Free Living. How to find out how much raw you need. How to prepare gourmet raw quickly – key points. What kind of foods & fast recipes to eat on the go that give you amazing energy and make you feel great. Date: 6th June, 11:30 p.m. – 2:30 p.m.